The long demise of the British pub may finally be over, as new figures released today show the rate of pub closures across the UK is beginning to slow. While the closure rate has only slowed slightly – from 29 pubs per week in the first six months of 2015 to 27 in the latter half of the year – pub campaigners are still raising a glass to the much-needed good news. Particularly encouraging is the fact that the closure rate of small community pubs has fallen from 26 closures a week to 20, the research by CGA Strategy shows. As the drinks business reported in January, community pubs are vital to the physical and mental wellbeing of their users. However, pub fans are warning that there could be yet more trouble ahead for the fragile industry if more isn’t done to protect it. A report from the Centre of Economics and Business Research last year showed pubs and drinkers would benefit from a cut in beer tax. This appears to have been proven correct given the latest pub closure figures. The report found that beer would have increased by 16p a pint without government intervention, which began with the scrapping of the tax escalator in 2014. More than 1,000 additional pubs would have closed, 750 million fewer pints would have been sold and 26,000 jobs would have not been created had the beer tax not been cut in 2014. Campaigners are now calling on the government to continue and strengthen its support for pubs by further cutting tax to help keep beer affordable and pubs open. 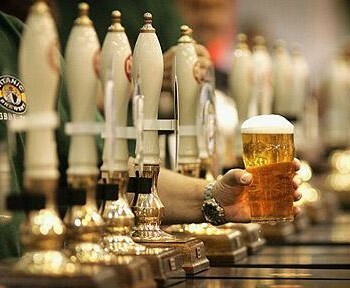 More than 3,000 Camra members have already lobbied their MPs to call for a reduction in beer duty, it says. The “fragile recovery” of the pub industry “could very quickly be reversed if the government fails to build on this positive development and misses the chance to support the British pub and beer industry by reducing tax again”, Page said. PUBS A SCREWED BECAUSE OF THE SMOKING BAN.